I like to think that I am not girly or fan of things that are super "pretty", but from the minute I first spotted the Lime Crime Venus III, I had all kinds of hearts in my eyes. The Venus III is the newest incarnation of Lime Crime's Venus palettes and it's for sure the prettiest of the four versions that are now available. I do own the original Lime Crime Venus palette - it's actually one of the gems in my collection but I never reach for it because the mattes in that palette are too dry on my lids. 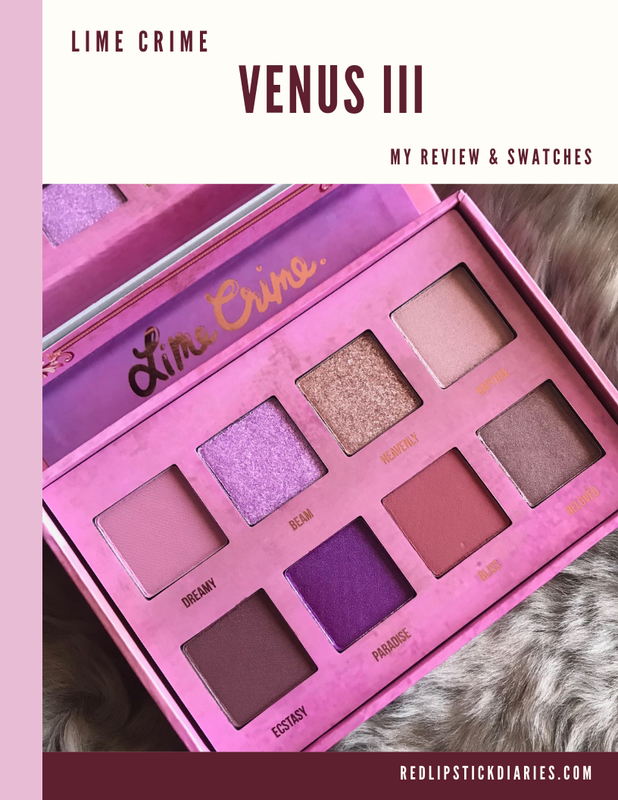 And, that is the only reason why I have never purchased the Venus II, even though I think that is an incredibly beautiful palette, filled with the grunge shades of my dreams. I also really fancy the Lime Crime Venus XL, which is honestly on my wishlist for next year. But I definitely did not think I would get the Lime Crime Venus III, it's normally $38, which I think is a LOT of money (my daughter got my Venus for $25 on Haute Look). So even hough I thought the Venus III was incredibly beautiful, I wasn't up to spending that type of money on it. So when Ulta announced the Venus (I, II and III) as part of their 21 Days of Beauty I could not contain myself. I stayed up until 10:45 (a hard feat for me these days) and bought that baby as soon as it went live. I even ended up using points I had on my Ulta account and only paid $9 for this baby, can you believe it? Nine bucks! Insane. 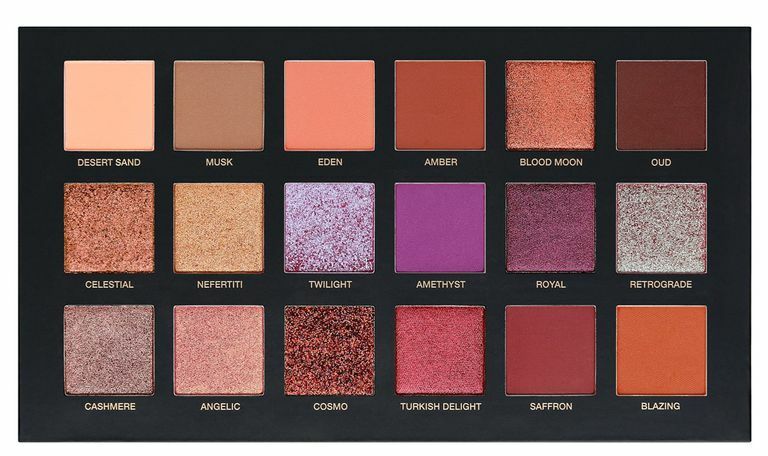 To me the Lime Crime Venus III has always been very similar to the Huda Desert Dusk Palette but a more edited version. I didn't keep the Huda Desert Dusk because I didn't fancy a lot of the shades in, but even now when I see it, I still covet those few shades in it that I really liked - or wanted to like. Cashmere (my favorite shade in Desert Dusk) is similar to Heavenly. The formulas are completely different though, I remember the Huda version being thick and creamy while Heavenly is thinner and dryer, but the color is similar. Another similar shade in tone though not finish is Beloved which is more cool toned like Cashmere. Twilight and Beam are incredibly alike though I can't remember what the formula of Twilight was like but I think it was actually really good. Amethyst and Paradise are almost the same and I do remember that the Amethyst in my Desert Dusk palette was a complete let down. It was very dry and had almost no pigmentation, which was sad considering it was one of the shades I was most excited for. A few other shades are similar but these three are the main ones that make me think Desert Dusk. So now that I have the Venus III I can completely forget about the over-priced Desert Dusk for good. Now let's talk about the performance of this palette, is it anything else besides beautiful? YES! Yes, yes, it's actually quite the good palette. I have zero complaints about any of the shades, I didn't find any of the mattes to be too drying at all and I really like each of the colors in this palette. Even the shade Bliss which isn't usually one I would gravitate to, I really love. It's super pigmented and I just think it's a great complement to the other shades. Then you have Beloved which looks kind of ordinary in the pan, but when you swatch it you can see just how unique this shade is, it's got some pink and purple micro-shimmer and has THE PRETTIEST finish. I love this all over the lid, it has so much dimension and is so good to my drier lids. This is seriously one of the better shades in the palette and I feel won't get talked about much. But I promise you that it is very special, indeed. The only two shades that I think might frustrate certain people would be the two shimmers: Beam & Heavenly. These are not traditional shimmer/metallic shades, I would consider both of these to be more toppers than anything else. Their formula is very thin and they are not super opaque, but they are incredibly beautiful and very impactful when layered on other shades. They have this light that radiates from within and so much going on in each shade that you can see all kids of dimension as your head turns and they catch the light from different angles. If you can appreciate these two shades for what they are, then I do think you will enjoy them a lot. I've been doing a lot of eyeshadow palette decluttering and plan to do more so I can start the year with a more edited collection but I'm so pleased that this palette is going with me into the new year. I don't believe I have anything similar to this already and that means that it does bring something new to me and my collection. I am really enjoying this palette and can't wait to use it a lot more. I want to use some of the shades in here as one-shadow looks and I want to keep creating full looks with it too. I can't wait to use it again and to use those two toppers as part of other eye looks, I just really think I can put it to good use in so many ways. 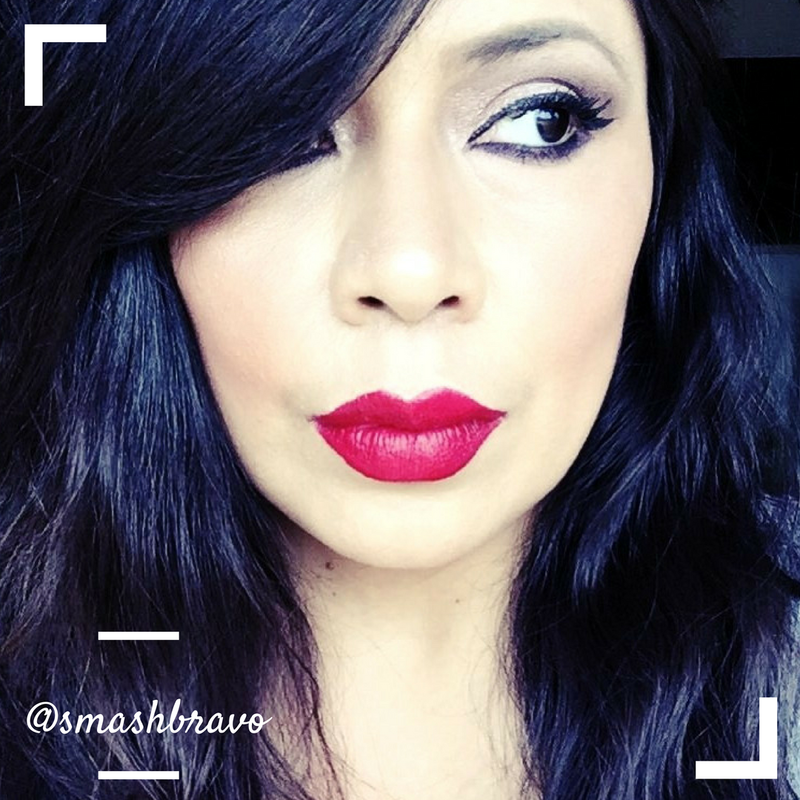 If you've been coveting this palette - I suggest you give in and buy it for yourself. I am so glad I did.